Kirusa has launched its “InstaVoice Ring” product that offers mobile subscribers an opportunity to give a free missed call to a person at any time, even when they do not have enough balance to make a call. 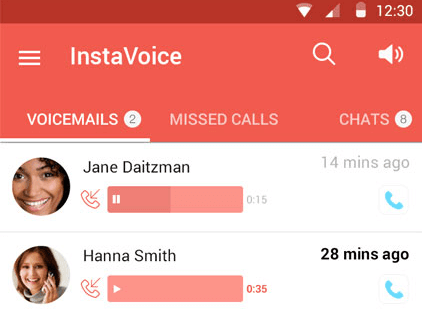 InstaVoice Ring helps mobile users to make a missed call to a friend, enabling the recipient to make a call back to the original caller and speak to him. InstaVoice Ring provides a solution for mobile users in their time of need by helping them connect with their loved ones. InstaVoice Ring also helps mobile carriers convert a missed opportunity into a completed call, along with generating a new revenue stream. What’s the use of it? Only missed call? AIRTEL already provides ‘call back’ service, which enables users to send a call back request with even no balance. And this was followed by many operaters too. People have data balance, they stay connected with their loved ones 24/7. I don’t think we require a special app for just missed calls. Now a days nobody gives missed calls. C’mon!! only few circle supported in india.